April has come and gone in what seems like the blink of an eye. During the past month the 2A class has learned a lot about the great outdoors and had a lot of fun while doing so. Over the past month we have covered the themes of Reptiles and Birds, Ocean Animals, Habitats and Farm Animals. In Science, the students learned more about why reptiles have scales and how these are made out of the same material that human’s hair and nails are made from. The students then used flower blocks to construct their own scales and witnessed how these can prevent the evaporation of water from the sun. The students learned about snorkeling and the gear that is used in order to breathe under water. They created their own dioramas of an ocean and desert habitat during Habitat week, which are proudly displayed in the classroom. We had a great time during Farm Animals week also as the students made their very own butter from cream. We made three different flavors, using salt, pepper and honey and the students got to taste their delicious final products! In Reading class, we continued with our Songbirds books and this new reading challenge is going hand in hand with our Phonics classes. In the final week of April our Mum Bug’s Bag book introduced the first long vowel sound (hole) and the students learned about the magic e which changes the sound of a word while also remaining silent. In Phonics class itself, the students moved onto the letters j and g and some three letter blends comprising of these sounds. Over the past month we have had a lot of fun with role-plays as always. The students acted as protective nesting birds; working to protect their eggs and young from predators. During Ocean Animals week, they acted as snorkelers and as different ocean animals that would be seen while snorkeling close to a coral reef. They participated in a Habitat Fragmentation role-play dealing with how habitats are affected because of deforestation in tropical rainforests – the home of the largest variety of animals of al the biomes. They then took a tour of all the different biomes on our magic school bus. 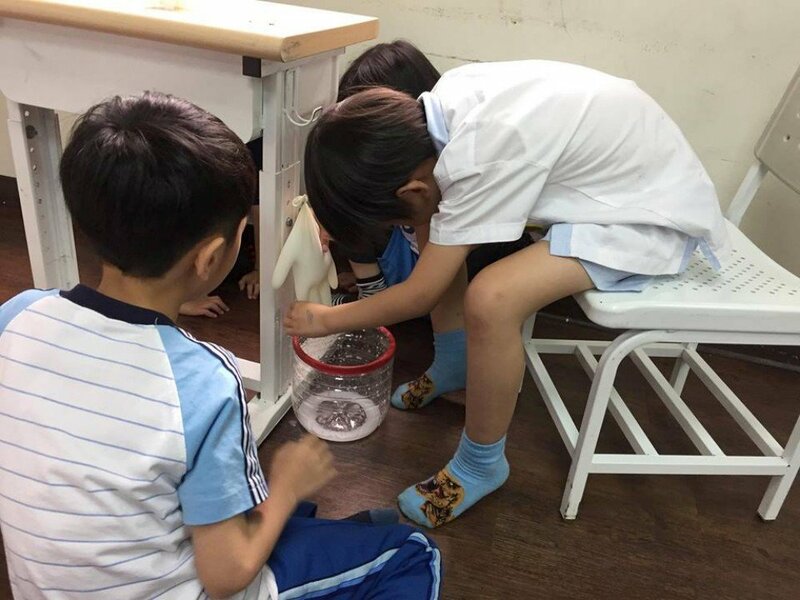 And during Farm Animals week, the students acted as farmers, milking cows by hand and they participated in a sheep shearing competition. The students are visibly growing, both in physical stature and in terms of maturity and ability and April was a success full of creative activities the students really enjoyed. We’re approaching the final two months of the students’ time in 2A and I’m sure there’s more growth to come from them in these two months. 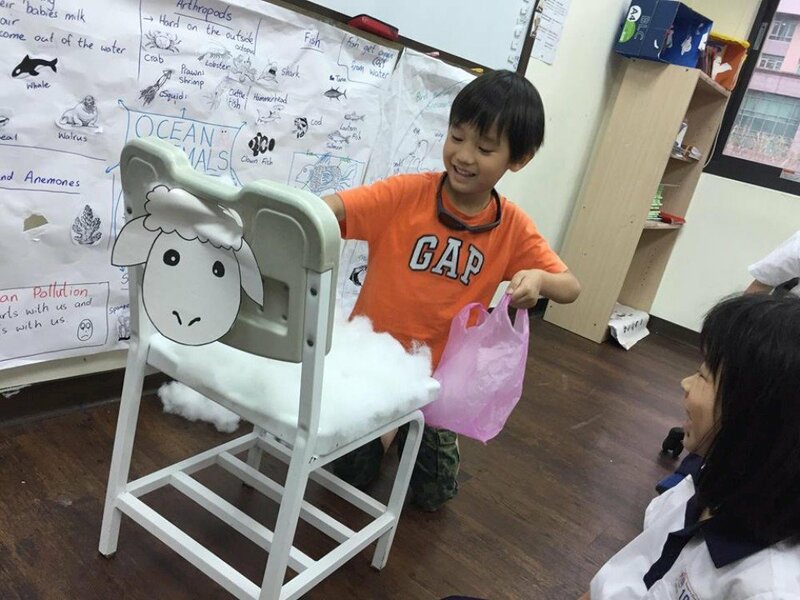 In Role Play, we acted as sheep shearers and participated in a sheep shearing competition! We were all trying very hard to shear the wool from our sheep. Guess who’s the fastest sheep shearer! 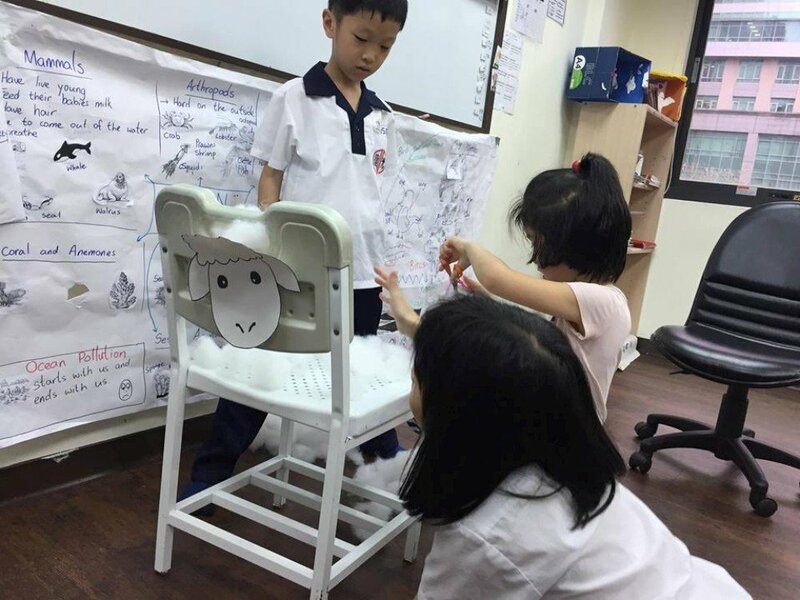 In another role play, we tried to know more about the farm animals by acting as farmers. And we milked our cows! Milking the cows is definitely not an easy job but we all tried our very best to do it!